Strainsense Ltd is a supplier of specialist sensors and instrumentation devices to the Autosport, Aerospace, Subsea, Rail and Test & Measurement industries. Our range of autosport sensors has been specifically engineered to perform in the harsh conditions found in and around racing cars and motorcycles. We have a proven track record in many classes of motorsport and our four decades of experience designing and manufacturing sensors allows us to provide our customers with custom products as well as off-the-shelf sensors. 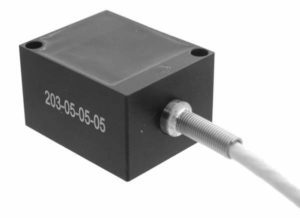 We supply vibration-sensing accelerometers to measure the low g-ranges of acceleration, braking and cornering forces, and the high ranges of vertical loading, suspension and vibration. Sensors are rated at various temperature ranges up to 260ºC. The Model 201 is a low-noise, low-cost triaxial accelerometer with both static and dynamic response. The sensor has been constructed with an anodized aluminium housing and integral cable and features gas-damped MEMS sensing elements. 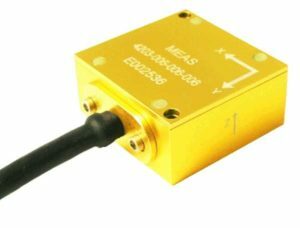 The Model 4630 is a low-noise triaxial accelerometer capable of a measurement range of ±500g. The sensor features three independent hermetically-sealed circuit assemblies that can operate either on a common power supply or separate supplies. 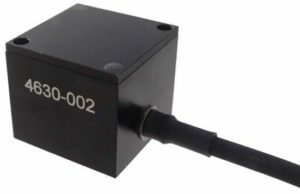 The Model 203 is a low-noise triaxial accelerometer featuring an excellent signal-to-noise ratio and a flat frequency response to 100Hz over its entire operating temperature range. 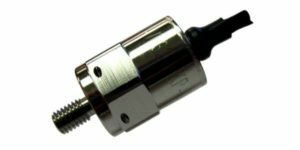 The Model 4203 is a rugged high-performance triaxial accelerometer with heavy-duty shielding and EMI/RFI protection designed to withstand the harshest of operating conditions. An integrated 8-pole ensures protection from any high frequency noise. 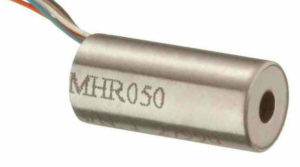 The Model 4604HT is a low-frequency DC response accelerometer specially designed to withstand unforgiving high-temperature operating conditions. With an operating temperature range of -55 to +175ºC, the sensor is also critically damped with integral high g-shock protection. The Model 4201 is a single-axis accelerometer designed for both motorsport and road testing applications. The sensor incorporates heavy-duty shielding and EMI/RFI protection, an 8-pole noise filter and overshock protection of up to ±5000g, making it ideal for demanding conditions requiring excellent stability and performance. Our position sensors are installed throughout racing cars and bikes to measure suspension travel, positions of pedals, steering, throttles and gearboxes, and other parameters. Linear and rotary sensors are rated at various temperature ranges up to 150ºC, and LVDT sensors up to 220ºC. Many of our position sensors are sealed up to IP54/65/67 levels. The MS-13 is a high-performance 13mm diameter linear potentiometer with a rugged aluminium and stainless steel construction featuring conductive plastic technology. The sensor is designed for longevity and reliability in harsh environments, with a life expectancy of more than 25 million cycles. Stroke range options are available from 25mm to 200mm. The MS-15 has the same rugged construction and high performance as the MS-13 but with a 15mm diameter housing and a stroke range of up to 300mm. The MS-19 has the same rugged construction and high performance as the MS-13 but with a 19mm diameter housing and a stroke range of up to 300mm. 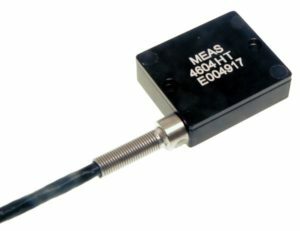 The MS-94 is our smallest linear position sensor with a housing diameter of just 9.4mm, and a stroke range of 12.5 to 175mm. Custom construction options are available, including spring return, flange mount and custom cable lengths and types. The MHR Series of lightweight AC LVDT transducers is designed for space-restricted applications where a low core weight is necessary for less inertia. With a diameter of just 9.5mm, stroke ranges are available from 0.13mm to 50mm. Our pressure sensors are used in autosport environments to measure fuel, hydraulics, brake and lubrication pressures. Our miniature pressure sensor is additionally used to measure the air pressures on vehicle bodywork to confirm the results of CFD modelling airflow calculations. 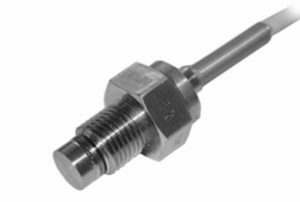 All our pressure sensors have an accuracy of ±0.25% and are rated at various temperature ranges up to 175ºC. 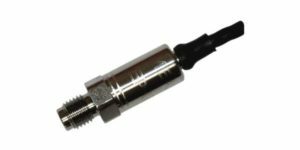 The EB100 is a lightweight miniature pressure transducer with a rugged stainless-steel construction. Standard measurement ranges are available up to 350 bar, with custom versions capable of measuring up to 700 bar. 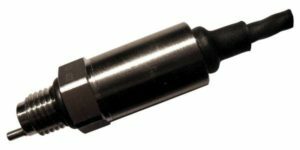 With a diameter of just 11mm, it is ideal for any applications requiring an extremely small-sized sensor. The EPRB-1 features the same pressure measurement capabilities and miniature size as the EB100, with the added capability of being able to withstand temperatures of up to 150ºC. The EPRB-2 is a lightweight rugged stainless steel pressure transducer designed to measure pressure ranges down to 350 mbar and up to 350 bar. Custom versions are available with pressure ranges outside of standard values – please enquire for details. The EPRB-3 combines one of our rugged miniature pressure transducers with a PT1000 temperature sensor that operates directly in the medium being measured. Operational temperatures are from -40 to +150ºC. The XPM10 is a miniature pressure transducer designed to measure both static and dynamic pressures in a wide variety of environmental conditions. 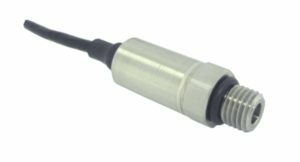 With construction options of either stainless steel or titanium, this sensor is designed for longevity in the harshest of environments. 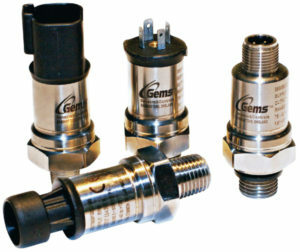 The 3100 and 3200 Series of compact pressure transducers were designed as fit-and-forget products. With a wide range of connection and output options, these sensors deliver among the best price/performance ratios on the market today. The 3500 Series of compact pressure transducers has been designed for customers requiring low pressure range sensors at an excellent price/performance ratio. Pressure ranges from 0 to 16 bar and a wide range of connection and output options are available.